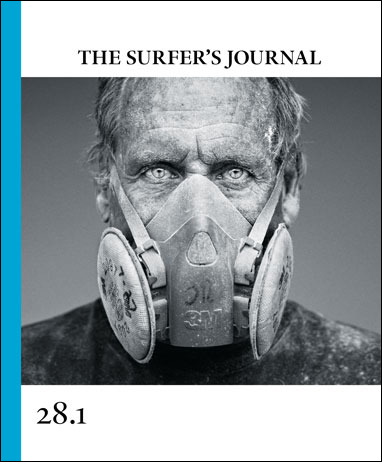 On the cover: Multi-disciplined surfboard artisan Joe Roper. Features inside the book include a Mexican wave zone lost to time and interest, a glacial-fed A-frame, and a surf playground amid an atomic testing range. The animation and comic paneling of cartoonists Stephen Hillenburg and Roy Gonzalez, plus the creative outputs of Josh Martin, Denis Stock, and Nate Lawrence add additional facets and textures.